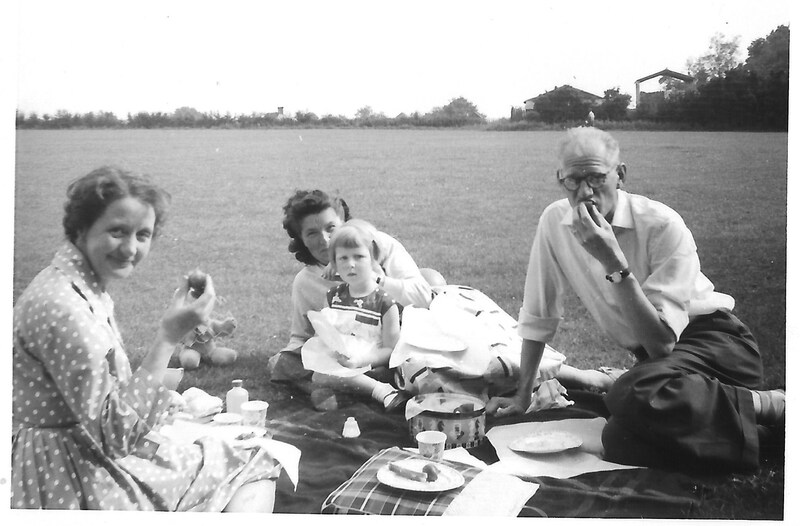 Looking back at my photographs it seems my family enjoyed picnics more than I remembered. There’s something very nice about getting together with family and sitting in a park, eating and drinking. One of my first picnics was in St Anne’s Well, a park in Hove which was the nearest park to where we lived at the time. We went there a lot, and here we are on the 27 August 1959. I am second on the left, aged just 15 months old with my Dad, Gordon Dinnis feeding me. 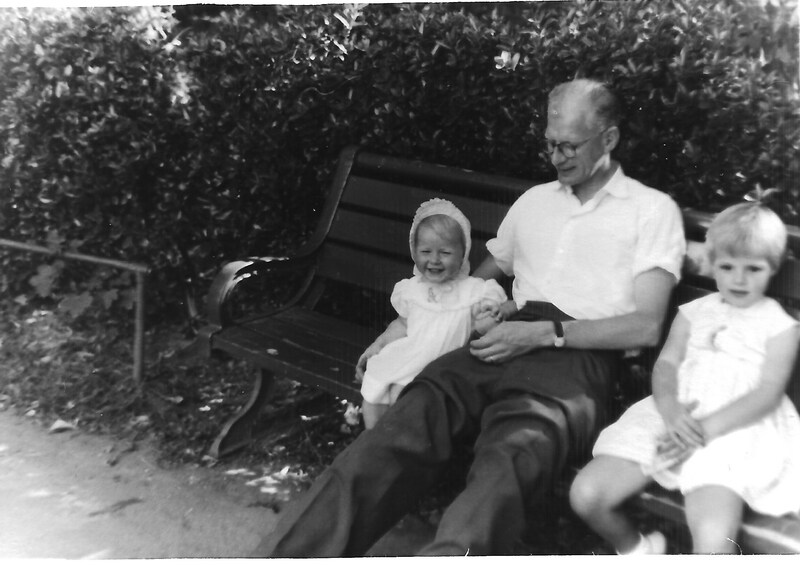 Gordon’s sister, Nancy is sitting in between her two children, Ian and Susan. We’re sitting in the shade of a large tree, which is something I’ve had to do every summer, due to my fair skin burning so easily. Here is another photograph from that day. And here is another picnic, I don’t remember where it was but I don’t seem to be wearing a sun hat so I probably got burned that day! 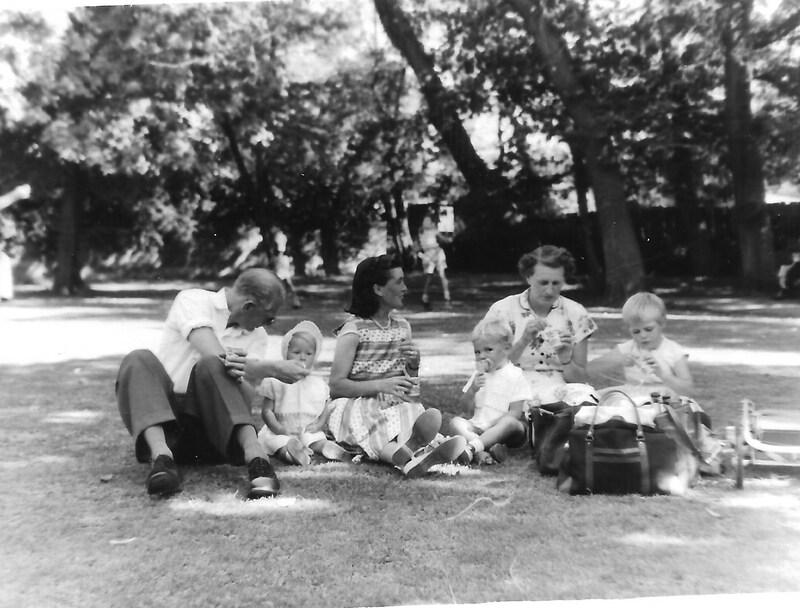 This entry was posted in Enid May Howells, Gordon Charles Dinnis, jackiedinnis, Nancy Dora Dinnis and tagged Hove, Picnic, St Anne's Wells park, Susan Arkell. Bookmark the permalink.